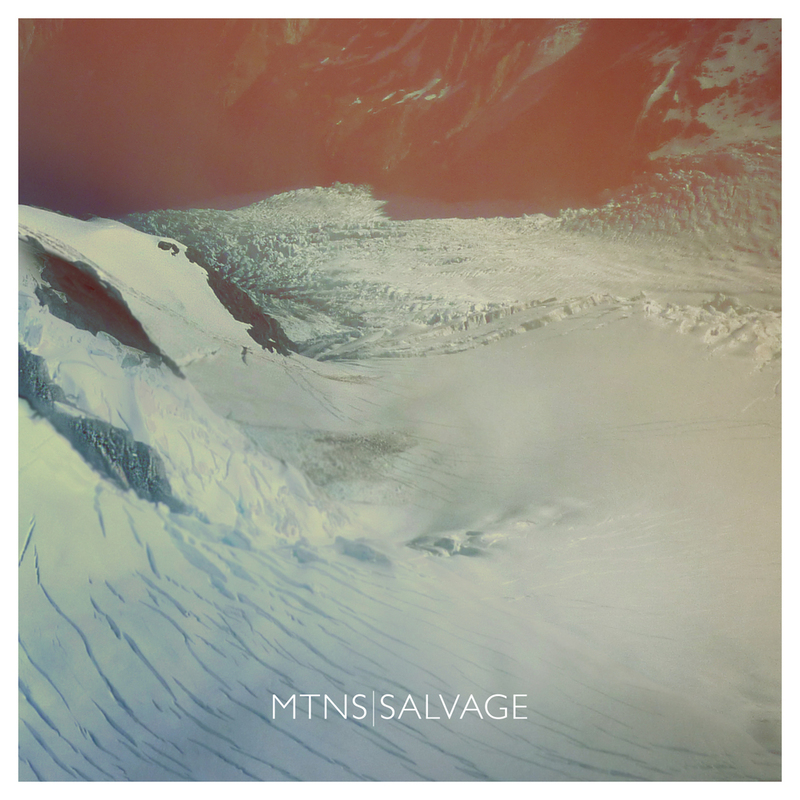 Hailing from Queensland, MTNS play a brand of hybrid post-rock electonica which can be heard on their latest EP Salvage. The trio are playing their first show in our city this Saturday night, the 1st of February, at The Causeway in Vic Park. Tickets will be available at the door, and it's a great chance to see up-and-comers at an intimate venue. No doubt next time you won't be so lucky. Listen to 'Salvage' and check out our chat with MTNS's Robbie Hellberg! What inspired y’all to begin making music and where does the bulk of your influence come from? We all had very different musical backgrounds, which is actually really cool because it brings an interesting diversity of musical genres into our song writing. We all grew up playing acoustic instruments and just recently began playing around with electronic sounds and samples which was reflected in the EP. In terms of influences, there definitely isn’t a specific genre of style that directly influences our sound. Your EP Salvages has been quite well received, and it appears you have found yourself a niche in the almost over-availability of music today, where do you think that will take your next effort? Our next release will definitely be an evolution of Salvage, we have spent a lot of time trying to specify the direction of our next EP so that we don’t get stuck in just one style. So without giving too much away I would say the songs we have been writing lately are a little more dynamic, but still hybrid electronic. Click through to our review of their EP! The vocal lines are almost ambiguous in their gender at times, is this a conscious effort as to be able to almost create a dialogue situation or just because that tone suites the chilled sounds better occasionally? It didn't even cross our minds that Tom’s voice sounds like a female. He just sings like that normally, however you may find that live he projects with a little more energy than what was on the tracks. How did the remix by M-Phazes come about? Did that give you some insight into how your music is interpreted and perhaps inspire a ‘look’ into other possibilities in the MTNS sound? M Phazes actually approached us a few months after our single release saying he would like to give it a remix. We loved his music and agreed to go ahead with it. Having someone else give their own interpretation of your music is a weird feeling. You have to really detach yourself from your own song when listening to really appreciate it the way others do. The remix we found was really fresh, and we didn’t hesitate to add it to the Salvage EP. Do you prefer recording in more relaxed environments (houses etc.) or in a studios? The home environment is a great opportunity to become creative! We all have the tools to track our instruments ourselves, so we usually spend a few days recording at someone’s house before taking our music to a producer. Which means that the time spent in a studio is more about listening than about recording. Salvage was released on vinyl, was that a conscious decision and how does that key in with how MTNS usually consume music? We have always loved the idea of releasing the EP on vinyl, we actually had no idea it was actually released on vinyl. I must buy a copy for myself! What is the most embarrassing part of your collective record collection, and your proudest piece? We found out one of the members has most of the old Disney sound tracks and frequently listens to them. I’m not sure whether to put that in the embarrassing collection, or the proud collection. Also the drummer has the coolest collection of Swedish music, which I bet he’s pretty proud of. What would you describe your perfect crowd reaction to be at a show? With such chilled electronica it must be hard to gauge response as opposed to say, a rock band who see much more active participation? Crowd response is so critical to our performance, sometimes it is really hard to know whether people are enjoying it or not. But a good indicator of a successful night is when we notice the crowd subtly closing their eyes and moving their head to the music, little things like that make a big difference. Are these songs written to be played live (because they come out great in studio!)? The songs are definitely written for a live context. Usually we write the song to about 80% completion, then play it live to determine what works and what doesn’t work, then finish tracking the song. How do you re-create these, at times complex, tracks with only three members? We have all become really good at playing many instruments at the same time. It’s what makes playing live challenging, which is a good thing. This goes back to the last question, our live performance moulds what the song ends up sounding like because we tailor the production based on how we pull it off live. As this is your first visit to Perth, what can we expect at your The Causeway gig? This will be the first time MTNS have ever been to Perth, with that being said we have no idea what to expect! Hopefully you can expect a really good night, being the first location for our tour, you will be the first to hear many of our new songs and arrangements, so that could be a good or bad thing. MTNS are playing The Causeway on Saturday night, it's a great venue with a neat free bus trip into the city afterwards!